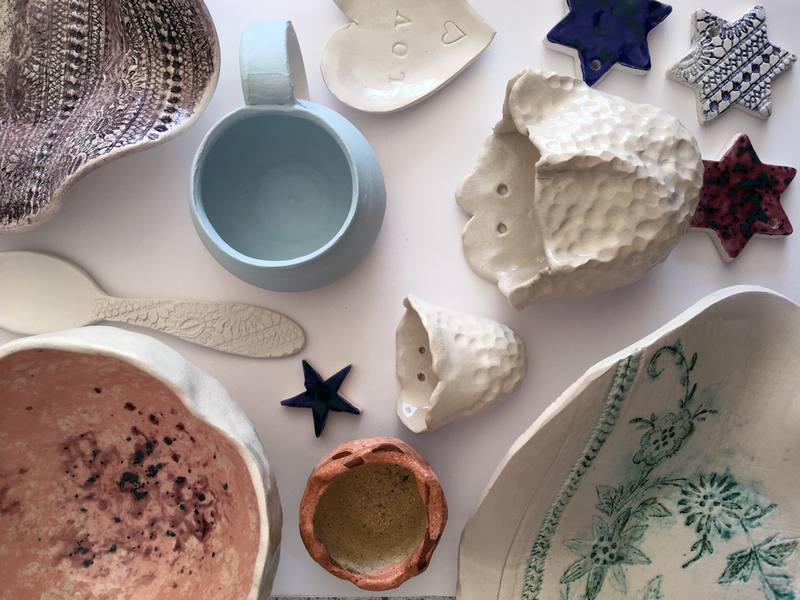 You will learn the basics of ceramics/pottery with a new technique each week or you can work on your own projects with expert help. 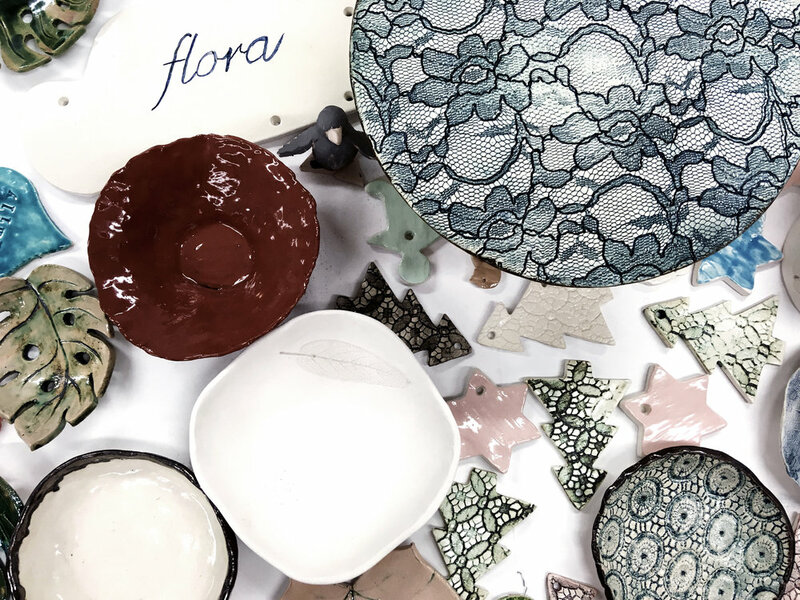 This friendly class enables you to also try throwing on the wheel using two different types of clay, which is fired to an earthenware temperature. 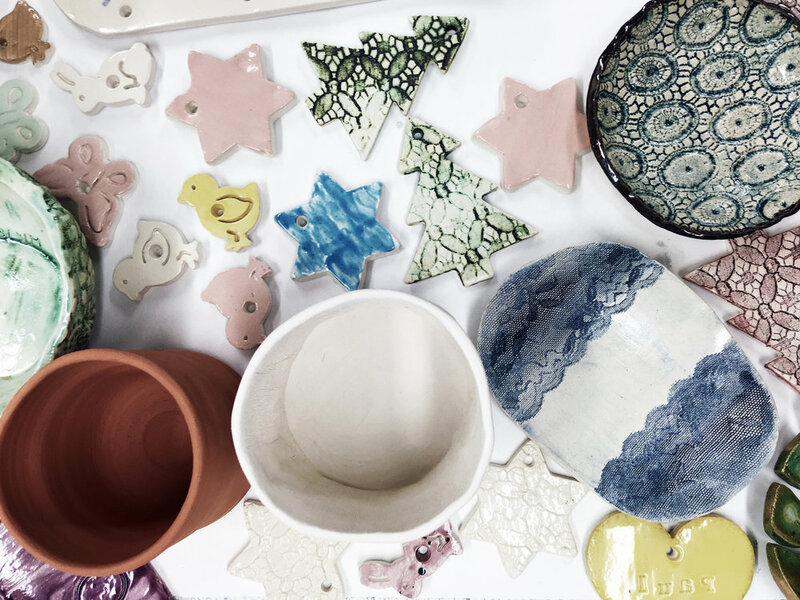 Materials (clay and glazes) are provided as part of the course fee. 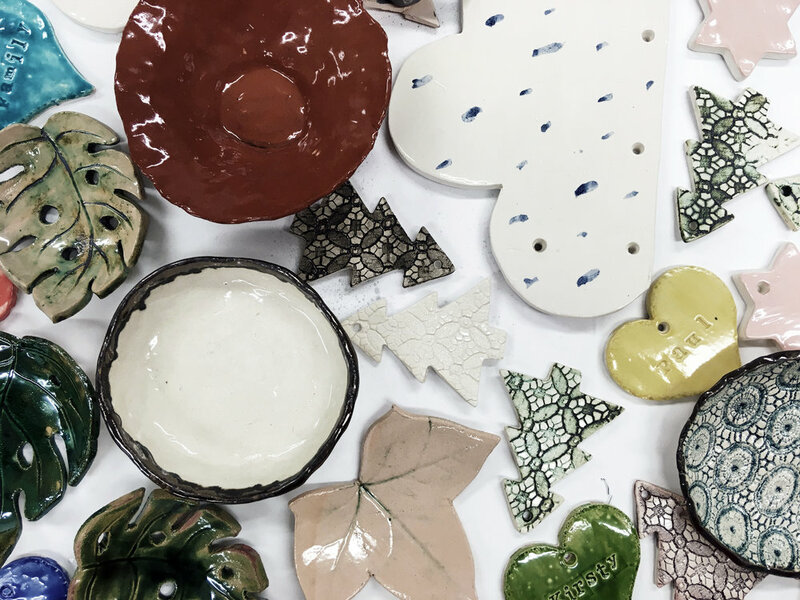 Look at our students' amazing work!